When Colin Kaepernick and Eric Reid settled their collusion grievance with the NFL, it was widely thought they had received tens of millions of dollars from the NFL. But a report from the Wall Street Journal says that the payment was significantly less. According to the Journal’s Andrew Beaton, Kaepernick and Reid will receive less than $10 million dollars from their settlement with the NFL. 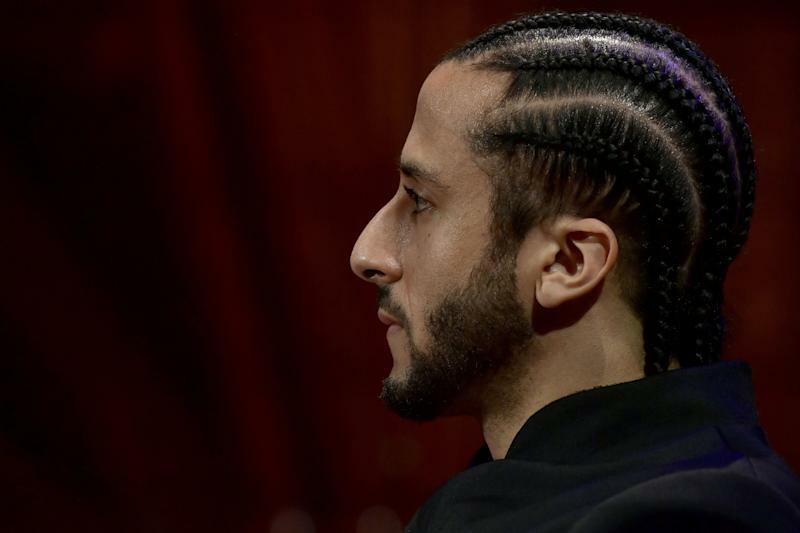 The terms of the deal are confidential, and both Kaepernick and Reid told the Journal they would respect that agreement and wouldn’t comment on the specific details of the settlement. An NFL spokesperson declined to comment. Kaepernick, the former San Francisco 49ers quarterback, was the first to kneel during the national anthem in 2016 to protest criminal injustice and racial inequality. Reid, a safety who is currently with the Carolina Panthers, joined him soon after, as did other NFL players. Kaepernick went unsigned after the 2016 season and filed a grievance alleging collusion in 2017, and Reid joined him. The protest stirred controversy among fans who felt that Kaepernick (and others) was disrespecting the flag by exercising his right to protest. President Donald Trump also heavily criticized the protests, which caused even more NFL players to kneel. The Journal reported that Trump’s comments about the protests caused NFL team owners to shift their positions on the issue. According to the Wall Street Journal, the collective-bargaining agreement between the NFL and the NFL Players Association would have entitled Kaepernick to “damages worth up to three times what an arbitrator determined he lost as a result of the collusion” if he and Reid had brought their grievance to court and won. That language in the CBA is what makes this report so surprising. If an arbitrator had determined that Kaepernick had lost out on $20 million in income over the two seasons he went unsigned, the NFL would have had to pay $60 million, far less than what the NFL reportedly paid out in the settlement. But there are questions about what Kaepernick’s value was during those seasons, which could have contributed to the lower settlement amount. Less than $10 million may be the true amount of the settlement. But with Kaepernick, Reid and the NFL not talking due to the confidentiality agreement, we may never know the real number.